The school is authorised by the "Consellería d'Educació i Cultura" (Baleares Ministry of Education) based on a recommendation from the British Council (Madrid) to provide a British education to students of all nationalities. Those students who choose to follow the complementary official Spanish programme of studies, obtain the corresponding Spanish secondary school qualifications. All students who possess the required level in Spanish language may proceed to Spanish universities via the European Union “Direct Access” system. 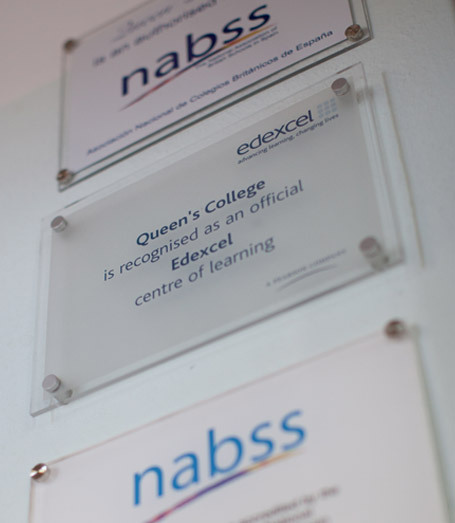 The school is an inspected and approved member of the National Association of British Schools in Spain (NABSS). It welcomes continuing inspection from British School Inspection providers, NABSS inspectors and the local authority responsible for education, the "Consellería d'Educació i Cultura". In this way, parents can remain assured that the school upholds the highest educational standards within both the British and Spanish systems of education. All staff are well-qualified and experienced in their respective subject areas and are appointed, not only for their academic abilities, but also for their classroom skills and the contributions which they, as individuals, may make to the enrichment of the school community.